Finally it's here so i can now post a little review : these mixes are pretty good, very"housy" with great horns blowing and a strong "Ibiza" feel to it ! 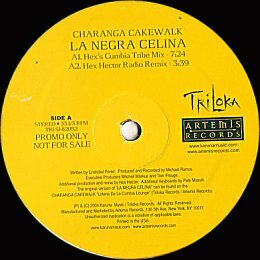 The only thing i regret is that Hex did not use the full vocals in his "Cumbia Tribe Mix" which makes it sound pretty much like a dub. Considering he also delivered a dub, these 2 tracks are pretty similar... 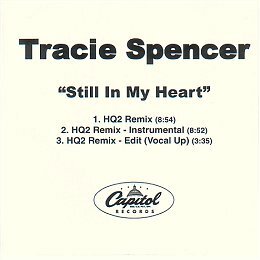 The radio remix is very close to the original version, very lightly remixed. I would have loved Hex to incorporate the song vocals in his remix, like he did for REIGN's "Tu Pun Pun" for example. Click the pic to reach a sample. 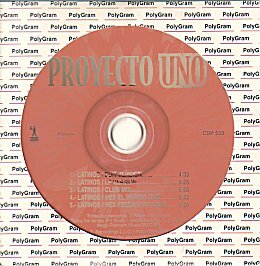 Hex is currently working on a new track called "Deliver" with Miami based singer JENNIFER C.
First, here's a pretty rare promo CD of the Hex Hector remixes of "Latinos" by PROYECTO UNO. Same track listing as the promo 12" but in perfect CD quality !! This one i'm very, very happy to have found !! Click the pic for details. 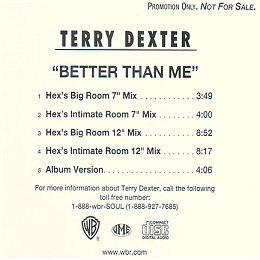 Another great pick is this promo CD of TERRY DEXTER's "Better Than Me" featuring both the "Big Room 7" Mix" and the so far unreleased "Intimate Room 7" Mix". Click the picture for full track details. 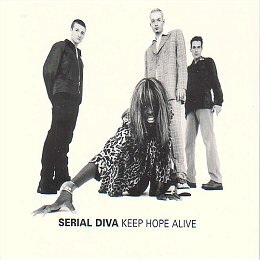 Then i also found a UK promo CD of SERIAL DIVA's "Keep Hope Alive" featuring both the Hex Club and Dub mixes (the dub was only available on 12" so far). 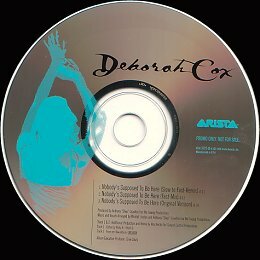 Next is a 3 tracks promo CD of DEBORAH COX's "Nobody Supposed To Be Here" featuring the gorgeous "Slow to Fast Version" (which was only available as a bonus track on the "It's Over Now" maxi CD) along with the full "Hex Radio Mix".